If you’re the type of person that likes to stay ahead of the curve when it comes to pimping out your pad with Instagrammable accessories, get ready to dash out to your nearest gardening centre ASAP. 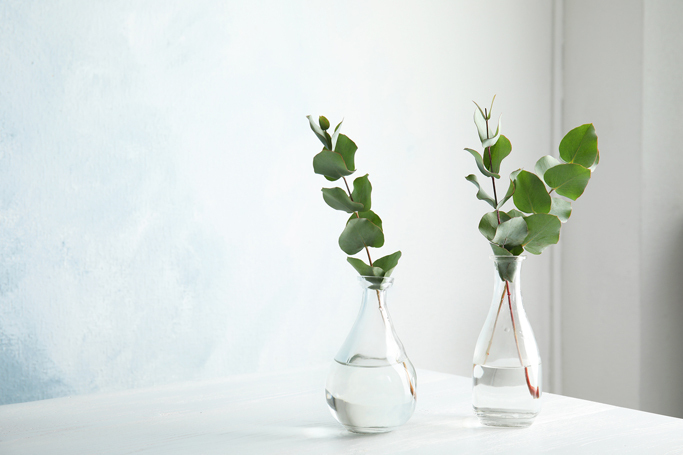 According to New Evolution, people are getting pretty obsessed with taking ‘eucalyptus showers’, and it’s not just because the plant adds a chic green touch to your bathroom either. The totally affordable trend involves gathering a fresh bunch of eucalyptus branches together and attaching them to your shower head with some simple gardening twine, so the leaves hang delicately underneath. The idea is that when you crank on the faucet first thing in the morning, the essential oils in the aromatic plant will add an invigorating scent to the hot steam, helping you to wake up naturally. Pinterest report that ‘saves’ for the idea have increased by 317% this year, and it’s no surprise really – as well as covering up any unwanted bathroom smells and adding a talking point for house guests, incorporating some eucalyptus into your shower can actually have some pretty amazing health benefits too. The natural oils in eucalyptus act as a pretty effective decongestant, clearing blocked nasal passages and awakening the senses – perfect if you’re already suffering from summer hay fever. The plant’s therapeutic smell can also work wonders for de-stressing a frazzled mind after a busy day at work. If you’re anything like us, we’re always on the search for ideas that will help us feel more human first thing in the morning, especially on days where we’re trying to be thrifty and save on takeaway coffees – and this handy tip might just do the trick. One word of warning though: apparently eucalyptus is toxic for dogs and cats, so it might be a trend to skip if you’re sharing your home with a four-legged friend.